There's always one enormous carrot in my veg bag. Ones that take several meals to consume. I'm giving serious though to adopting what I understand are hurricane naming conventions so meet Carrot Arnold! 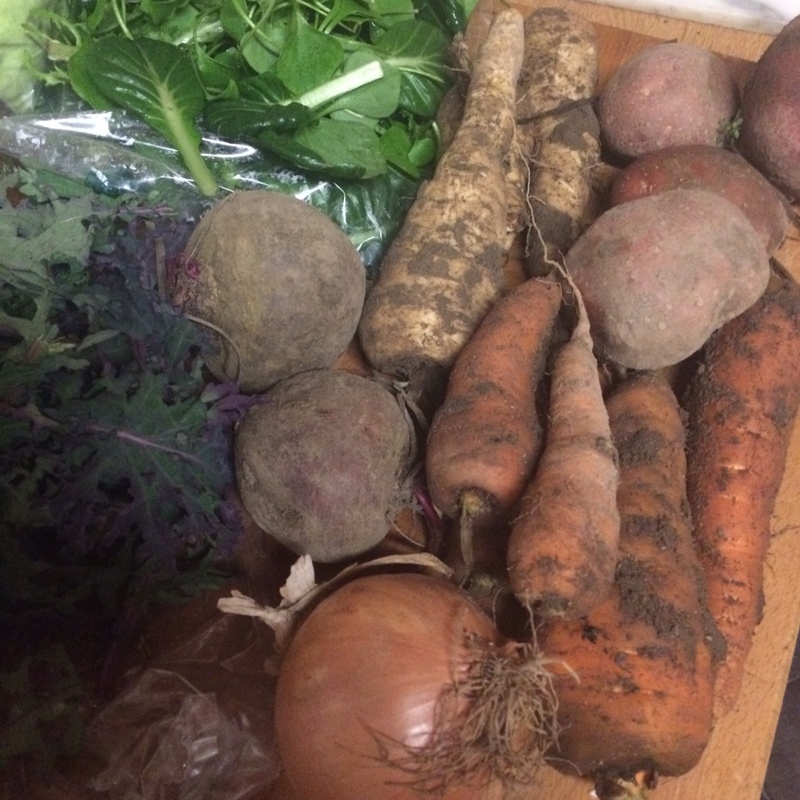 Other goodies to consume this week are beetroot, potatoes, parsnips, onions, kale and salad leaves. 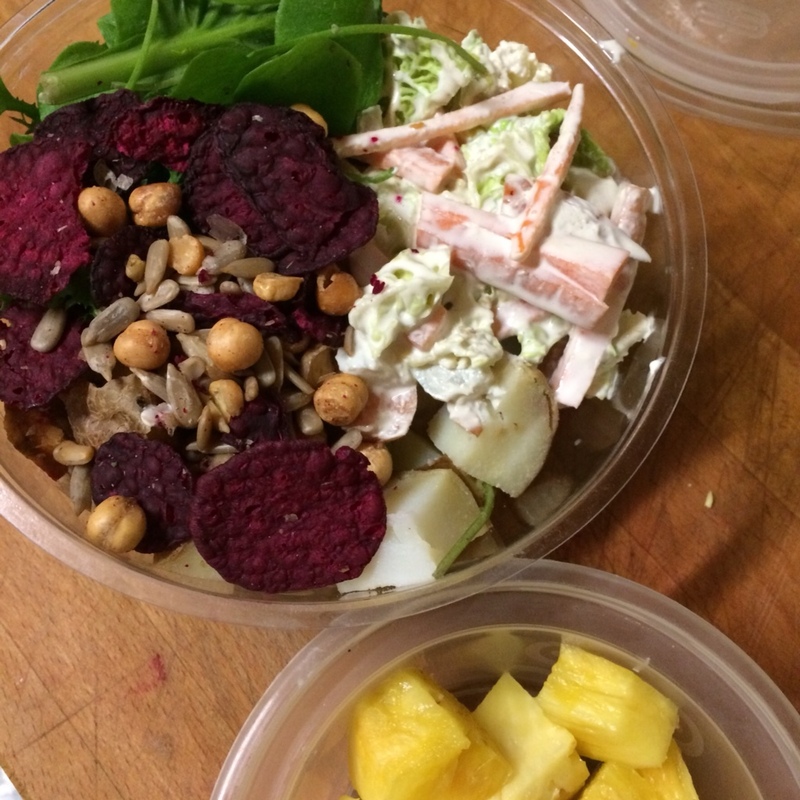 One of my portable vegan lunches was a salad bowl of leaves, cold cooked potatoes, coleslaw (left over from last week), topped with beetroot crisps and spicy chickpeas and sunflower seeds (my mum was keen on these so passed on to me to use up). The pineapple was left over from make Pina Coladas on New Year's Eve. Every mouthful was a surprise in the soup of beetroot, carrots, potatoes, parsnips and onions. The beetroot stains everything pink so you can't be certain of what on your spoon until you taste it. I was inspired to remove the tarnish from the soup spoons I picked up in a antique/second hand shop a few years back (they had been shamefully languishing in the back of a cupboard) in order to use them with this dish. Vinegar, foil and hot water were excellent for making them shiny again. 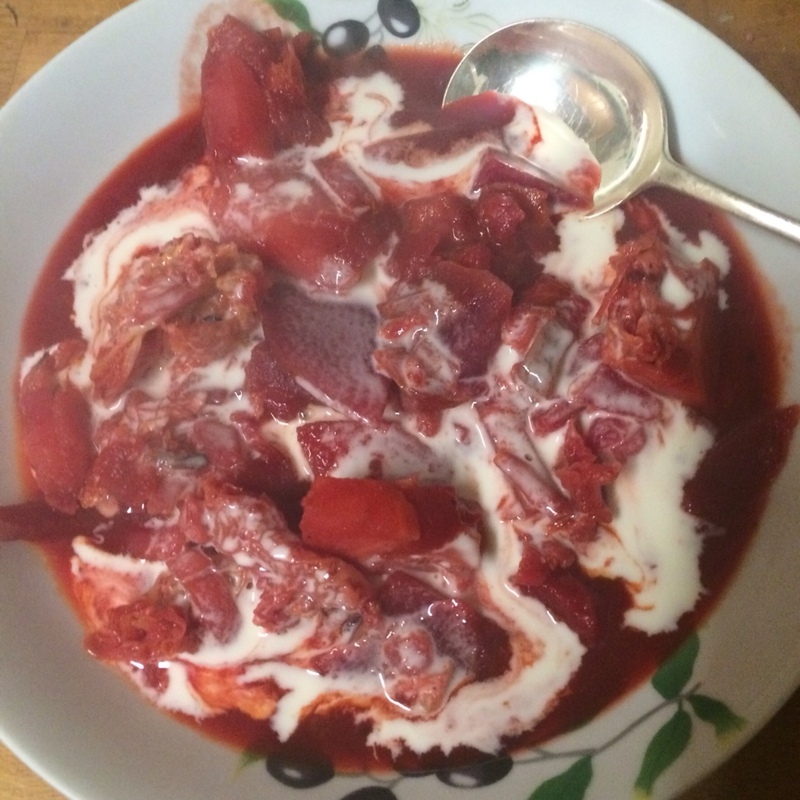 Leftover borsch was great served with a jacket potato and more of that lovely Oatly cream. 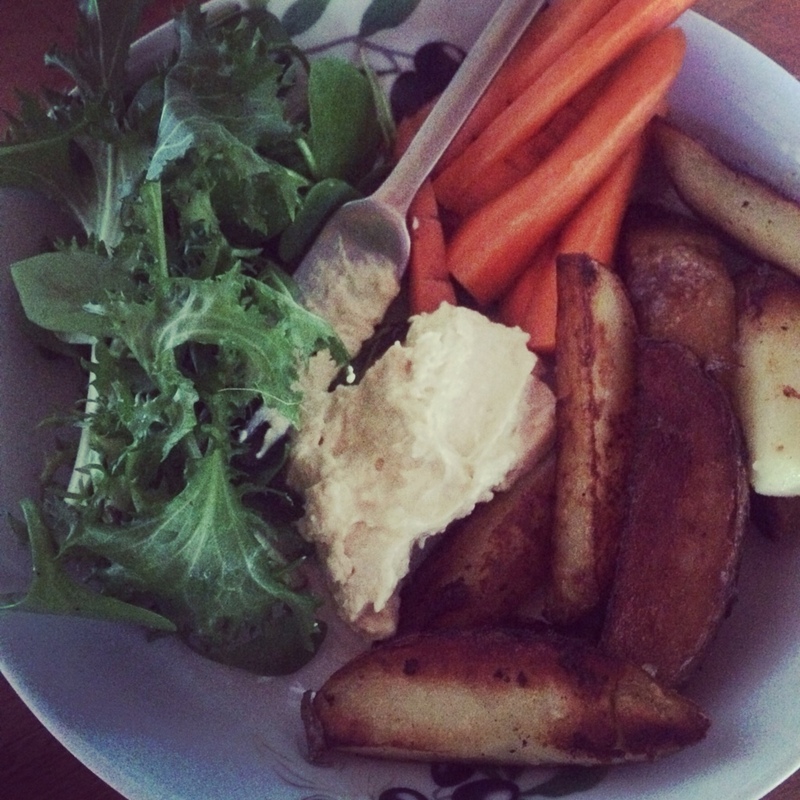 That's the last of Carrot Arnold served raw with potato wedges, salad leaves and a hummus dip. Lunchtime dining that leaves a spare hand for reading a book. If courgette spirals are zoodles then I figure potato noodles must by poodles? 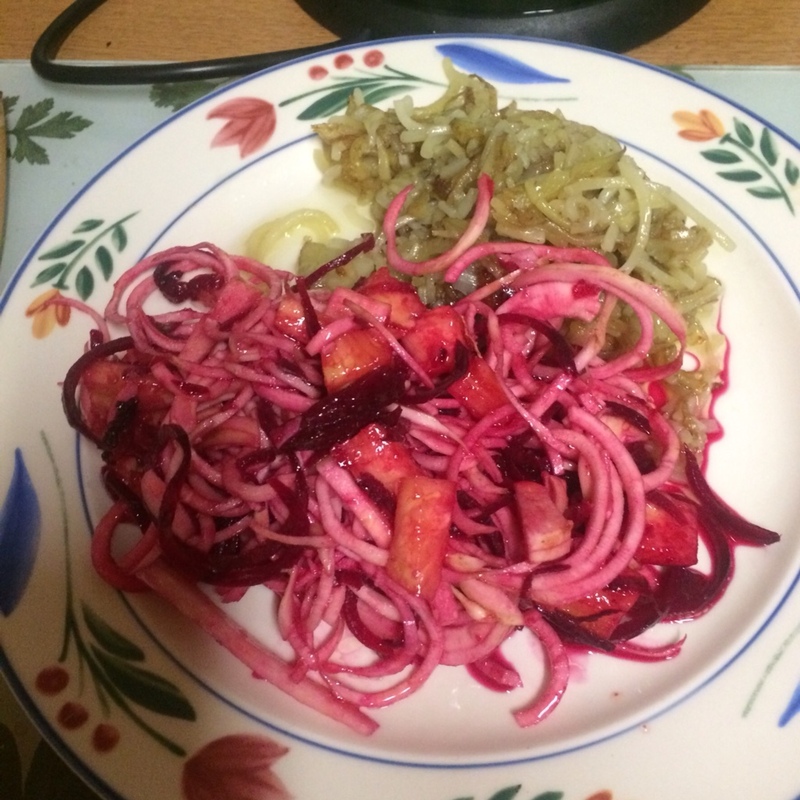 I put my spiralizer to good work here on the beetroot (slippery), parsnip (tough) and potato (easy). 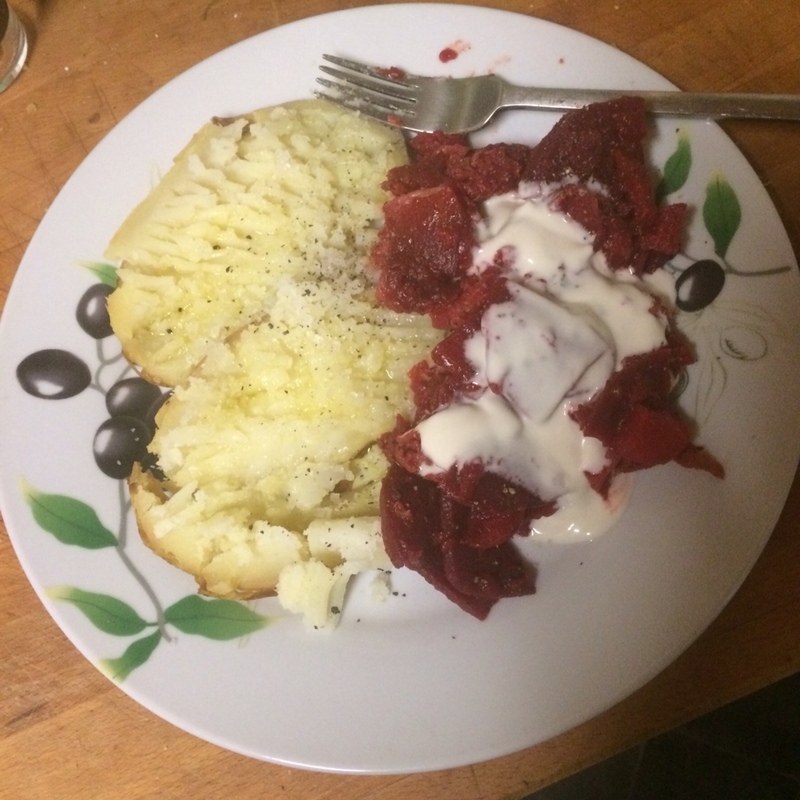 Potatoes got pan fried while the beetroot and parsnip were mixed with pineapple and vinegarette dressing. 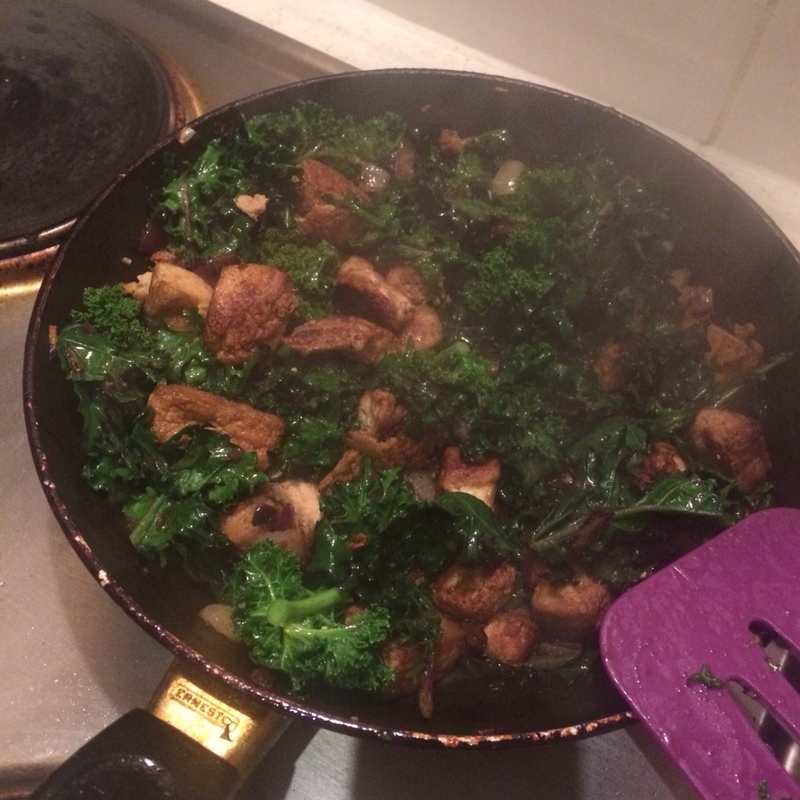 Yes this recipe is an adaptation of one from Veganomicon – well spotted! Anyone else dealing enjoying giant carrots this winter?